Theorists have long argued that a process of individualisation is inherent in conditions of late modernity. Whilst individualisation has been acknowledged in the business ethics literature, studies have often overlooked the processes by which individuals are given greater responsibility for ethical decision making and the personal and institutional effects of this responsibility. 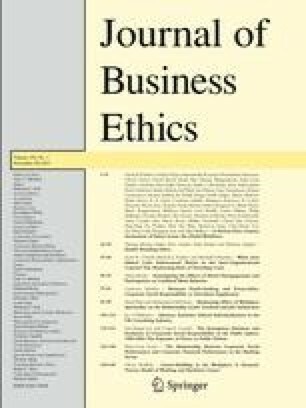 This article develops a notion of ‘ethical individualisation’ to help one understand and explore how and why ethical responsibility is being devolved to employees in the UK consulting industry. The article argues that an individualised ethics is incapable of preventing malpractice in the face of institutional conflicts of interest. This study was enhanced significantly by the comments and observations of two anonymous JoBE reviewers and Prof. Mike Reed. This study was supported by the Economic and Social Research Council grant number RES-331-27-0071.